☆☾ Last year, while daydreaming about creative endeavors, I had a thought about how wonderful it would be to design clothing. I let my mind wander into a world of possibility, fantasizing about what my designs would look like and how I could make them a reality. Later that afternoon I checked my e-mail and read a message from a brand I work with quite closely for this blog, RahiCali. In a serendipitous turn of events, RahiCali had written to ask if I would ever take interest in partnering up for a capsule collection centered around festival style. Oh how I adore when the stars line up like this! It was as if the universe listened to my rambling thoughts and decided to point me in the right direction. Simply magic. Of course, I excitedly agreed and my mind instantly began to buzz with ideas. Not long after, I met with RahiCali in Los Angeles and presented my design concepts. Although I often dress colorful for my personal style blog posts, I really adore the simplicity of white clothing. I wanted this collection to provide the basic staple pieces for layering tons of festival jewelry, face decor and rockin’ accessories. Because RahiCali and I are both based in California, we designed with Coachella in mind, offering a mini collection centered on romantic embroidery on flattering silhouettes that would get you through the blistering festival heat. Just before I jetted off to Australia in December, we finalized the collection and RahiCali set out to provide design mockups for a statement maxi dress, an off the shoulder playsuit, a faux suede bralette, a fringe jacket and an amazingly cute bell sleeve top and ruffle short set. 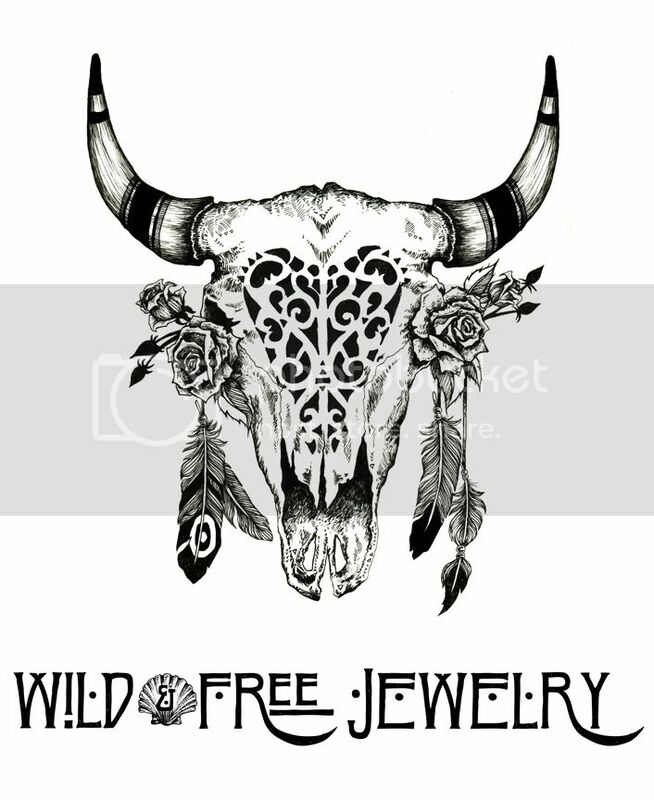 ☆☾ When thinking of the shoot for this collection, I knew I need to find someone that perfectly embodies the spirit of Wild & Free Jewelry. I wanted a soul who’s inner beauty radiates into the world and who adores adventure and mother nature. It didn’t take long for me to come to the conclusion that Natalie would be the perfect fit. I first met Natalie when we decided to shoot together near the end of last year. I had her model my Oceane Mermaid Crown and Gold Dust Butterfly Crown on the shores of Malibu. Straight away I was enamored by her level of energy and contagious giggles. We clicked straight away and the more I get to know her the more I am inspired by her. She’s a talented artist, amazing writer and a complete babe. We had so much fun galavanting around mountainsides and laughing until our cheeks hurt during this shoot. Thank you Natalie for lending me your pretty face and spending those priceless moments with me. Below are a few of my favorite shots from our wilderness adventure. Posted in wild & free jewelry and tagged boho, coachella style, festival, festival style, natalie biehl, rahi cali, rahicali, wild and free, wild and free blog, wildandfreejewelry. Bookmark the permalink.